11 vendors have this plant for sale.101 members have or want this plant for trade. Tough and so pretty in big groupings. I have it in a couple of big pots as accent colour in my container garden here in my mountain lair, and it's survived three winters with no troubles at all. Did I mention it was TOUGH? That, and critters don't seem to like eating it. I'm tempted to try growing it as a ground cover for parts of my land garden, just to see if the pernicious gophers will touch it or not. :-) After a chill, the tips of the plant turn a pretty reddish colour on top of the chartreuse green. The spikiness of it also adds eye-interest. All-in-all, a lovely, easy to care-for plant that handles low water to drought, brutally-hot and sunny conditions quite well. 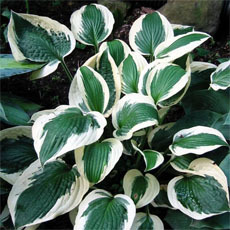 A great plant, tough, easy, adaptable, fast-growing, drought-tolerant, with yellow/chartreuse summer leaf color. Evergreen, with luminous amber/orange winter color, best in full sun. Needs good but not exceptional drainage. Small pieces left on the ground will root. The gold summer flowers are attractive, but the foliage is the major attraction. This can be aggressive, but it's easy to control if you don't interplant with other low plants. Makes a great container plant. Much hardier than this file indicates, to Z3. Hardy enough to overwinter reliably aboveground in a container in Z6a. Many evergreen plants look dilapidated in winter here in Boston, but this plant always looks great year-round, and the bright winter color is except... read moreional. I underplanted my rose bed with this sedum which I obtained from a single "cutting" that I pinched from a planting that had spread over the curb in my neighborhood. After 2 years of dividing and replanting I filled a 6' x 8' area. This sedum is especially beautiful in the rose garden because of its golden glow in all seasons and pronounced amber color in autumn. I have never seen this plant produce flowers, either in my garden or around town. I have found it to be less invasive than other sedums. Sedum 'Angelina' does very in South-East Florida. 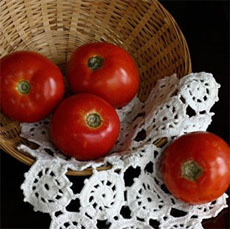 I use it in a bed of flowers that border a sidewalk, as well in hanging planters from my pergola existing on rain water, as well as in a raised stone patio pot... where it receives very little water. Love this plant as a groundcover in an area without disturbance. I cordon off the area from my dogs as the growth is tender and pieces will break off easily if stepped on. But it is a fantastic groundcover in full sun, evergreen in zone 5b in black soil, somewhat compact and clayish. Looks great when planted with red or green groundcover sedum, they intertwine nicely. I do not find this growing in any other areas of my yard, but I do see that pieces that fall off in the same area tend to root themselves. 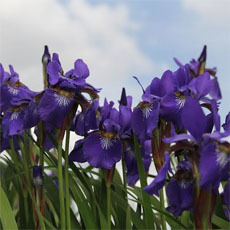 Mine is planted alongside a lannonstone walkway so I have little worry about strays growing in nearby planting beds. Even so, they are easy enough to pull if they root themselves in an unwanted area. Drought tolerant once established. Mine thrives in a dryish area. Whenever I'm about in my garden taking notes on what succeeded and what combinations look good, it is always Sedum reflexum 'Angelina' and anything at all. Angelina with black leaf elderberry, with blue grass, with artemisias, with showy sedums, with blue star creeper, with....the list goes on. An amazing punch of color anywhere, and a sure thing in any corner. 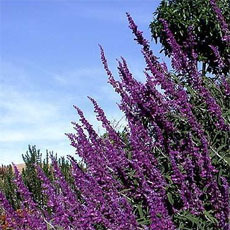 Although this plant has a beautiful color and is very healthy, it is a bit of a bully wherever I've planted it. If you have the right spot for it, it would be fine. It does not play nice with other plants. I bought a small pot of this three years ago and when I planted it, I divided it into three plants. Two in part sun and one in full sun. They've all taken off - a little bit to much and required some agressive pruning to get them into check this year. Other than that they need very little attention. Somehow, I have sprouts here and there coming up in places I didn't plant them. They are easy to pull out if you get them before they get rooted in. Give them plenty of room, a space they can totally fill in is ideal. 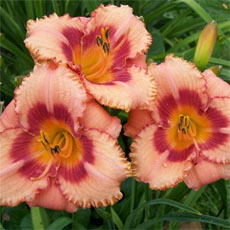 They have a great orange-ish color in spring that goes nicely with orange or bright pink tulips. Angelina is surviving our zone 4 arid winters without batting an eye. She is spreading nicely, and even looks good in the winter, when everything else has died back. This plant is rated to be only hardy to zone 6a but I have had it growing very well in zone 5 for several years. However, mine never blooms. I love it because it is not fussy about where it is put and is easily controlled by pulling. Love this plant! A really stunning groundcover in a brilliant shade of chartreuse green. Looks great next to or under larger purple plants. However, give it room because it is a fast spreader. Also, it roots very easily. Broken pieces will take root with no trouble at all. I am not sure how I got this pretty little plant, but it sure is invasive in my garden. Hard to pull, as it roots very well to the soil, but also likes to work down crack lines in the sidewalk and driveway. I am in the process of banishing this one from my garden. I hear other climates have more success with this one, but here, it stinks. One of my favorites! So easy to grow and share with others, just snap off pieces and stick in the ground or in pots, they WILL root! 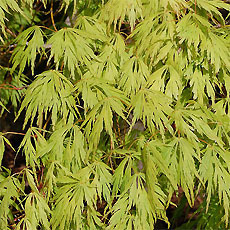 The light lime coloring compliments darker greens for a nice contrast. forms a nice compact dense groundcover, and cascades beautifully over the edges of my rock garden. 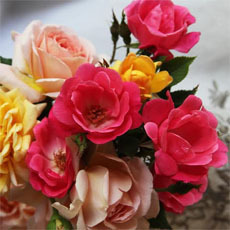 the color is bright and clear, flowers are neat and low. has survived 2 winters so far in my zone 3 garden in full sun and gritty soil. Some of the sedums make such great plants, so easy to care for. 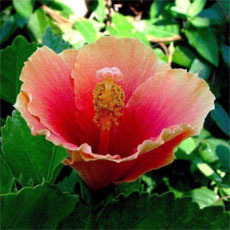 I added this one to the list of desirable ones, gorgeaous color in sun as well as partial shade. 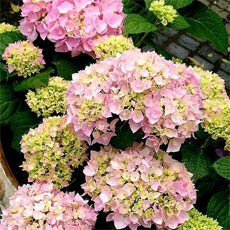 Like all sedums, it needs very good drainage and it will survire the winters in zone 4. Have successfully grown this plant in Zone 4 for several years. Currently have it started in a new border and it is doing just great. The plant spreads very nicely but is easily contained by simply weeding out the ones you don't want. I love the foliage on this sedum. Even though I am zone 5b I have gotten it to overwinter in a very sheltered spot (2 winters so far) at the base of a stone wall. It does suffer from die back though so the zone information stating zone 6 for the lower limit is probably correct. I planted this last year. This sedum was gorgeous all summer, with lovely yellow foliage. Best of all, the foliage turned a yellow-orange hue in the fall and stayed that way all winter. I see it has volunteered some new plants this spring, which I am more than happy to have. Gorgeous golden yellow foliage with yellow flowers. Prefers partial sun and loves to spread itself out. It adapts well to many soil conditions.